On August 8th my blog will be two years old. Just writing that out makes it feel more real! I started this journey in a time that feels so different from the present, and my blog has grown with me. Today I was going through storage boxes as I prepare to leave for a semester abroad, and I stumbled upon books of poetry that I wrote in elementary school. As I have mentioned before, my love for writing started around the second grade, when I would fill notebooks upon notebooks with stories and poems and let my imagination run free. 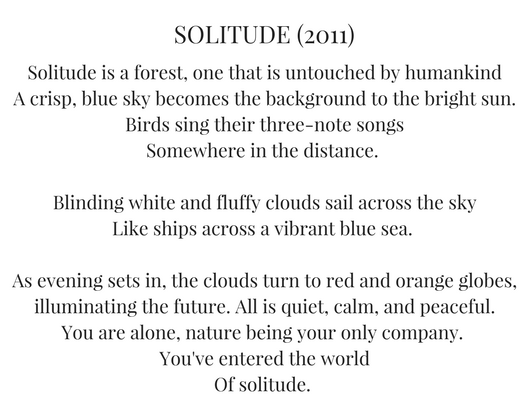 Reading back through these poems, I am reminded of why I started my blog in the first place. It’s so easy to get caught up in the marketing side of blogging, and this has helped me remember that my blog is a place to share my journey with the world. I’ve learned more than I thought possible by learning about marketing and business, but it’s always important to remind yourself why you started. 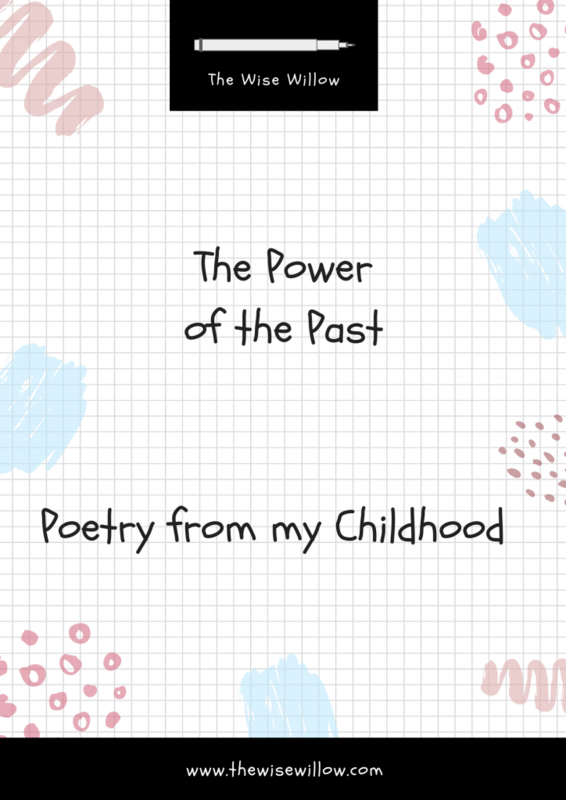 I wanted to share a few of the poems that I found today with you, so that you can see where my love for writing came from, and where my blog inspiration took root. 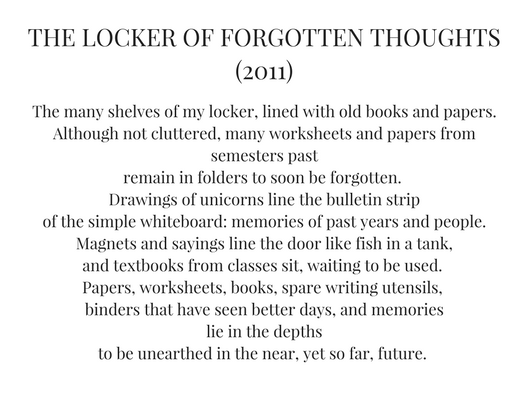 As I read back over these poems, I was reminded of my love for the written word. 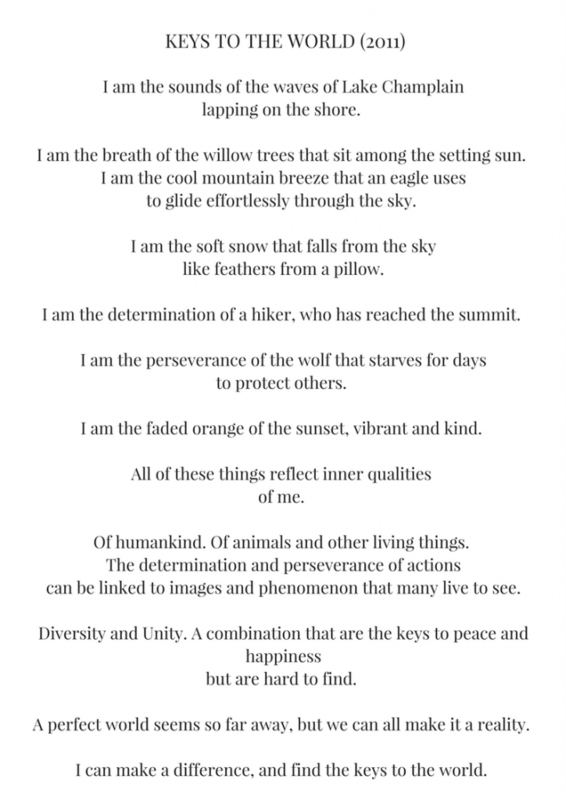 I haven’t written poetry since 2011, but I now feel inspired to start anew. All of my gratitude goes to you, my readers, because you have allowed me to live my dreams.